Broome's Gateway is a pet friendly, relaxed, open style living type of accommodation with abundant wildlife and birdlife. Each room has their own ensuite, pets are not forgotton at Broome's Gateway with large tree lined paddocks for pets to enjoy and be walked. We have two fenced kennel areas that are suitable for some pets. We cater for any Friendly Pets, big or small if friendly are all welcome. Broome's gateway is also a friendly caravan park with clean new amenities, room for any size of rig from large to small, including tents. Spacious caravan bays with fabulous shower/toilet facilities. Water is onsite. Great camp atmosphere with camp fire. 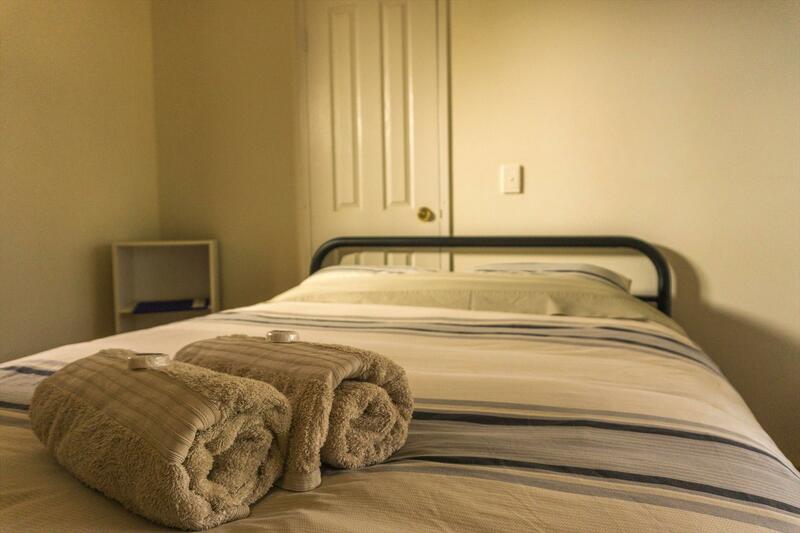 Gateway rooms offers guests the comfort of sleeping in either a queen size, airconditioned, unit with ensuite, or a twin share (two single beds), airconditioned unit with an ensuite. In total Gateway rooms have four queen rooms and two twin share rooms available. Two rooms have an adjoining door which can be opened for families. A cot is available to hire for $10. A continental breakfast is provided to all guests each morning. A gas BBQ and microwave are available for guests use. In the event of cancellation Less than one weeks notice; No refund. More than one weeks notice; 50% Refund.